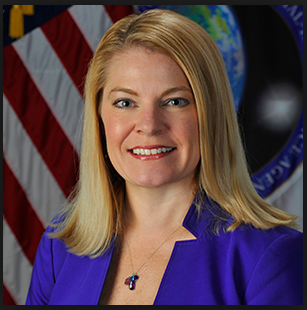 Since October 2017, Christy Monaco has served as the National Geospatial-Intelligence Agency’s chief ventures officer, a role in which she coordinates NGAs innovation initiatives with various stakeholders and partners. Her focus includes innovation and the incubation and implementation of new ventures to sustain NGA competitive advantage. Plainly: She helps brings innovation from the outside world into NGA and also helps promote innovation within the agency. In addition to her unofficial change agent role, Monaco also spearheads NGAs acquisition innovation efforts, strategy, and manages relationships with the commercial sector. NGA is far from Monaco’s first federal agency; in fact, her public service dates back to 1990 when she joined the Office of Naval Intelligence in Task Force 168. After that, her subsequent roles include foreign intelligence liaison officer for the commander-in-chief of the U.S. Naval Forces Europe intelligence staff, defense intelligence senior level executive senior financial expert for HUMINT management and deputy chief financial executive for HUMINT. Monaco has spent nearly 30 years in the intelligence community, and now she’s helping bring new ways into her agency to leverage innovation to transform how things have previously been done. Her agency is training staff to seek out successful private sector practices — such as agile methodologies and lean startup — and then to bring those to the agency so it can implement what has worked in industry. Next Article Top 25 Execs to Watch in 2019: John Mengucci, CACI International Inc.